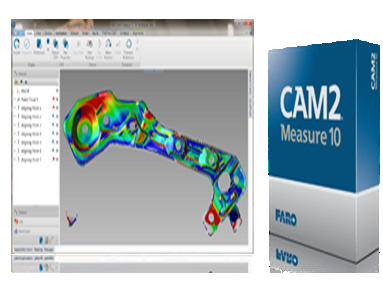 FARO’s CAM2 Measure 10 is an inspection software package that allows you to complete 3D measurement jobs quickly and gives you the freedom to measure as required by your application. 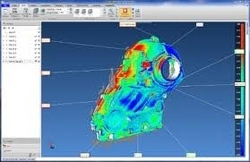 State-of-the-art functionality improves every measuring and scanning process. 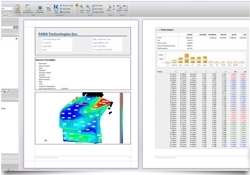 Create new commands to obtain measurement data that can only be obtained through a series of steps involving measurements and constructions. Shortcuts enable you to record all the steps in a complex measurement sequence into a command that can later be accessed with a single mouse click. The Easy Move Wizard is a great assistance when measuring large parts where the need to reposition the device is often necessary to complete a measurement. The complexity of finding the correct target correspondence is taken away from the operator, cutting down on the time required for the repositioning while also removing the risk of human error. 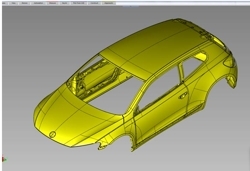 Measurement of multiple parts can be simplified using QuickTools programming. 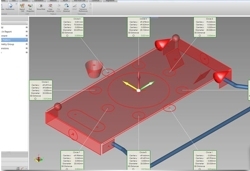 Develop part programs quickly by recording the steps in the first measurement. Later add pictures to the measurement steps to provide easy graphical instructions for the operators. With the CAM2 Measure 10 Remote Apple App, iPhone, iPod Touch and iPad owners can measure remotely by communicating with their CAM2 Measure 10 via Wi-Fi.